According to a survey by GetApp, over one-third of customers were more impressed with salespeople being present in a store than any other sales strategy. Retail sales training can be a challenge to organize and implement. Arranging time away from the shop floor may be costly and, given the high turnover rate in retail, it may be difficult to justify the additional expenditure. However, ignoring the training needs of retail sales employees isn’t an option if you want a dedicated and motivated workforce who’ll perform how you expect them to. Retention continues to be a key concern when building a skilled retail sales team. Irrespective of the size of your retail business, your employees need to know everything about your latest products, processes, and procedures. Continually providing retail sales training demonstrates your commitment to investing in your employees’ development. Taking the time to train your workforce provides opportunities for growth. This results in your employees feeling valued. Therefore, they are more likely to want to have a stake in helping you to grow your business. If you’ve taken the time to develop a clear brand message, your efforts may be in vain if it’s not backed-up by regular retail employee training to reinforce this message. All your employees should be singing from the same hymn sheet in relation to communicating information about your business. When you’ve recruited good retail sales employees, you should do everything in your power to encourage them to stay in your business. If your employees feel like you genuinely care about their development, they’ll be less likely to seek opportunities elsewhere. The retail industry experiences change at a fast rate. Providing fresh training to your retail sales employees will help your business to keep up with emerging trends. A stagnated workforce will be bored and this lack of enthusiasm will be evident when your employees are dealing with customers. The delivery of sales training is almost as important as the content. It’s a waste of resources to develop training with useful information that’ll bore your retail sales team to tears. Thankfully, the days of a trainer talking at employees while going through PowerPoint slides are in decline. Retail sales training needs to be engaging to help employees understand how the information can be practically applied to their jobs. Who doesn’t love a good game? Gamification of retail sales training can be as simple or as complex as you like. 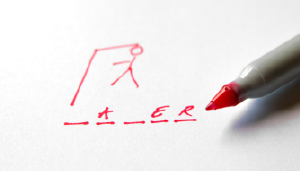 You can copy your favorite game show format to develop your sales training games. For example, your games can be in a Who Wants to Be a Millionaire or Jeopardy style. Focus your questions on common issues around customer service. Your games don’t need to be accompanied by big prizes. Instead, offer winners token prizes like snacks and candy bars. The ultimate winner can be given a voucher or coupon to spend in-store. Better engagement and information retention. Give your long manuals a makeover by turning them into interactive content. The British retailer, Mothercare, uses gamification to provide health and safety training to its employees. More accurate feedback. Using apps in gamification training allows retail sales employees to receive real-time feedback on their progress. Since training results are provided by a machine, there’s less chance that bias will creep in. A true picture of knowledge. Gamification apps provide the opportunity to assess data based on employee performance. You’ll be in a position to decide which team members are doing well and which ones are struggling. This data will enable you to design a more targeted training program. Bring out the inner actors and actresses in your team by incorporating role-playing into your retail sales training. You can either describe a scenario or ask your employees to think about a challenging conversation they’ve had with a customer. Invite two employees to act out the scene. Then, ask the participants to swap roles to ensure that each one gains experience from the employee and the customer point of view. After both employees have taken turns in the different roles, ask them to discuss why they felt the situation with the customer took a turn for the worse. Afterward, ask the trainees to think about what they could’ve done differently to prevent the negative conversation. Even with the best will in the world, sometimes there’s nothing that can prevent a customer from getting angry. However, role-playing as a retail sales training idea gives your team the opportunity to explore different options and a chance to empathize with the customer’s position. Try to hold the role-play in the actual location. Instead of delivering the training in your meeting room, enact the role play scenario on the shop floor. This helps to give your role-play more authenticity. Record the role-play training session. Get permission from your employees to film them during their role play. Be clear about how the videos will be used. To reassure your team, you could replay the video on a screen during the training session, provide feedback and delete the recording. Bring in the professionals. To make the role play more believable, you can hire actors to play the character of the customer. Taking on a non-staff member to role play will provide a more accurate representation of how your employees would behave in a given situation. Using virtual reality for retail sales training is still a fairly new idea, but it’s catching on. You could say that virtual reality is the equivalent of role play that’s been brought into the 21st century. Your retail employees could be placed in real-life situations they’re likely to encounter on the shop floor. Your retail sales team can be immersed in real-life situations even before they start work, resulting in them being better prepared. More entertaining training. It’ll be difficult for your sales team to switch off and daydream when using virtual reality for training. Providing fun ways to train goes beyond employees enjoying themselves as one in every three employees stated that dull content is a barrier to their learning. Some of your employees will be verbal, visual, physical or aural learners. Virtual reality encompasses all learning styles so that everyone in your team can get engaged. Walmart is leading the retail industry in the use of virtual reality to train its employees. The training will be delivered through headsets and will give employees the chance to get ready for situations like coping with the holiday rush. The headsets are linked to screens in the training room where the instructor and other team members can see and comment on what the trainee is seeing. Virtual reality has moved away from science fiction to provide an opportunity to train your sales employees in a fun, engaging and effective way. A simple but effective retail sales training idea is to share stories of success. Encouraging your team to talk about how they made a sale serves to encourage other employees. Try to keep to a structure when using storytelling in your retail sales training. Talk about the stories with your team. Ask questions to encourage them to think about the problem and the solution via different angles. It’s natural that some of your employees won’t be as verbal as others. It’s up to you to provide feedback to prompt employees to flesh-out their stories so that the team can gain the maximum benefit. The moral of the story is that including storytelling in retail sales training is a relatable way for your team to retain information. It’s probably impossible to quantify the countless number of times a customer has expressed a desire to buy something and then used the word “but.” This is the reason that objection handling training is a good idea for retail sales employees. It’s likely that every member of your team has heard the same objections. But how many of them are equipped to handle customer doubts? You’ll need to furnish your employees with the tools to address objections without being pushy. During your objection handling training session, think about the types of objections you hear in your business. Ask your team to provide an example of each type of objection and suggests tactics to deal with them. The customer could’ve easily chosen to move on instead of raising an objection. They’ve made an effort to communicate what’s on their mind. Train your retail sales employees to realize that an objection is another opportunity to make a sale, so they should thank the customer. Saying thank you is also likely to disarm the customer if they’re annoyed or upset. Empathizing with the customer is an essential part of objection handling. When you train your retail sales employees to put themselves in the customers’ shoes, conversations will flow easier. Statements like “I hear what you’re saying” and “I’m sorry you feel that way” show the customer that your team understand their issue and genuinely want to help. 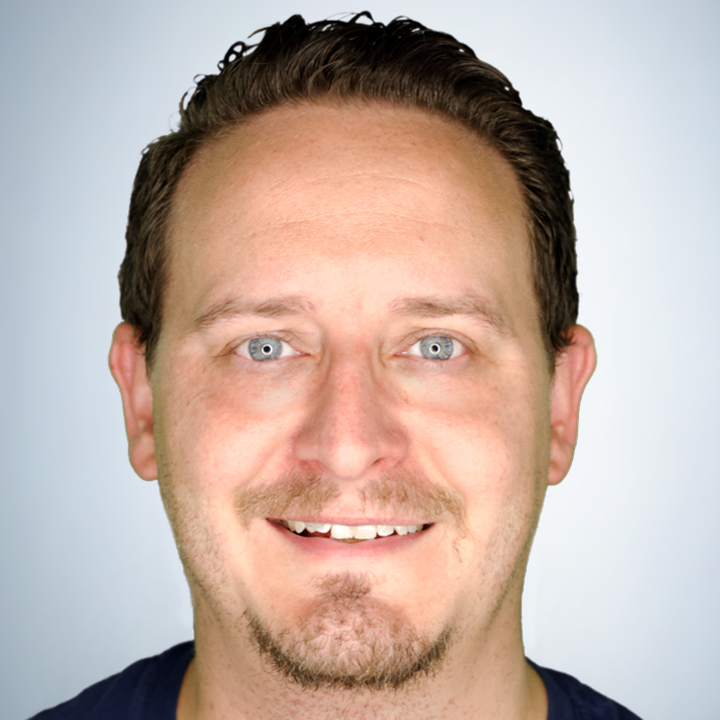 Asking closed-ended questions will frustrate both your sales team and the customer. Objection handling training should include how to rephrase closed questions into open ones. Open-ended questions get the customer to divulge information that can help your team to close the sale. Train your employees to show they care and ask the right questions to help customers overcome doubts about buying from you. The next step of objection handling training is for your team to communicate the value of the item. Use storytelling to paint a picture of what life could be like if your customer bought an item. The retail sales training ideas above will help you to equip your team to close sales and grow your business. You’ll note that these suggestions are mostly interactive in nature. 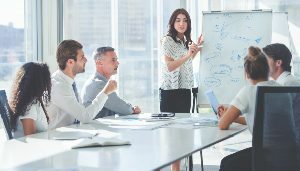 Your employees will be more likely to retain information to transform them into super-sales people if they can get actively involved in training. Delivering relevant and interactive training on a consistent basis will help your team sell with confidence and passion. Nothing beats the hustle and bustle of a retail environment. Employees are only as productive as the available tools allow them to be. With so many tasks to stay on top of (sales training, customer service, stock control) it can sometimes be difficult to complete everything in a timely and efficient manner. With the right employee scheduling software in place, retail owners and managers can have instant visibility of their business through their smartphone. 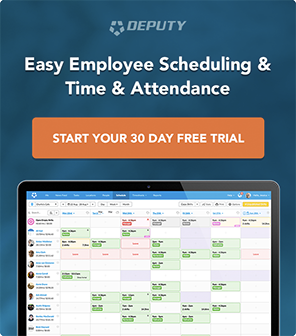 Try Deputy’s workforce management app to make it easier for your employees and managers to stay on top of tasks and schedules, all while increasing productivity.